One of the biggest reasons why many people go to the gym is for the benefits of weight training for their body. You can get everything you need by Weight Training in Walsall Simply Gym. Maybe your are looking to tone your body, gain muscle strength (bodybuilder style) or you could just be looking to improve your confidence and endurance on the gym floor. Whatever your motivation for Weight Training is you can be sure to find it at Simply Gym Walsall! With our large selection of free weights and a designated weights area within the gym you can have a choice of weights to use to build up your body and develop a health and fitness regime to suit your needs. We know what weights are and many of us have seen them around the gym but what really is weight training? A common form of resistance training and strength training, weight training is an effective way to develop the strength and size of muscles in the body. With the correct form, weight training can give significant functional benefits and improvements in overall health and wellbeing of the body. 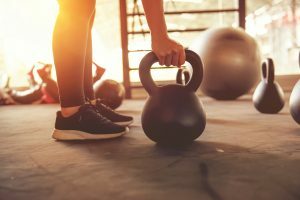 Strength training can not only help your body but it can help your mind too, giving you benefits that help complete your overall mental and physical health capabilities. Health Benefits of Weight Training in Walsall? Weight Training in Walsall has many benefits to your health. Not only does it help increase your strength physically but also helps with your day to day activities. It also helps to improve your bone density which is beneficial for those who may be more advanced in age and want to add strength training into your workout plan. Strength training with weights can also help improve your quality of life as you gain more body confidence and manage your weight in the most controlled and positive way possible. Weight training doesn’t have to be boring either, you can easily mix up your usual routine to keep your body guessing the best way to received strength gains and eradicate ounces of boredom. With a large and spacious free weights section on the gym floor you can train at any time that is convenient for you. Just be mindful and considerate of others and don’t forget to put your weights away if your not using them.